Fences are hard to keep clean because they sit around the edges of your property, and we understand that you are not sure how you would even begin. We can take a look at your fences, give you an estimate, and talk to you about how to keep them clean going forward. This is one of the more complex jobs that you could do around your property, and we believe that Arlington fence cleaning should be done with professional tools. We are happy to strip the paint from the fences if you want to paint them once more, or we can turn down the pressure to make sure that the paint stay on. We are happy to clean tall fences that are meant to safeguard your lawn, or we can do targeted work on fence posts and slats that are space widely around your property. Fences also have gates and metal pieces that you might need cleaned, and we will go over these things during the estimate. There are times when you do not want the metal cleaned, and we will be sure to avoid these parts. We will not shoot water between the slats because we have expert technicians who can clean each slat without knocking it over. Your fence can look brand new again, and we will not take nearly as long as the competition. You can renew your home’s exterior, and people can even tell from the street that things have improved. 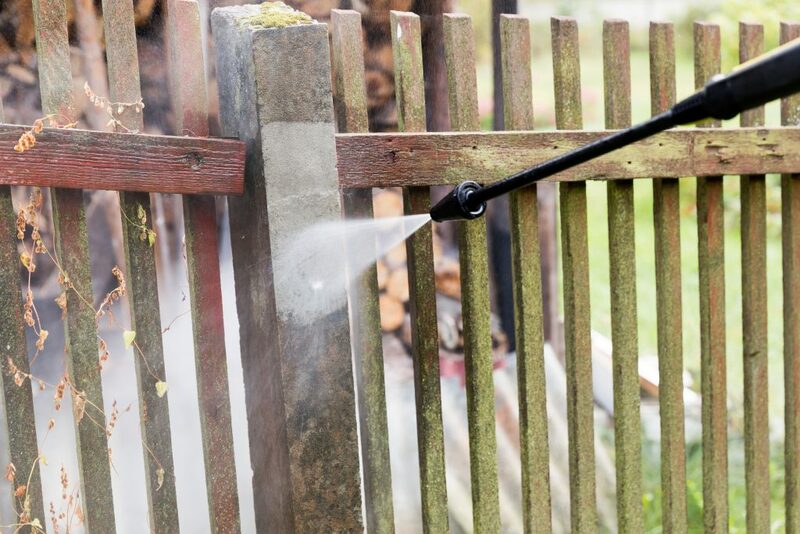 You might also choose to add fence cleaning to your siding and/or driveway cleaning.